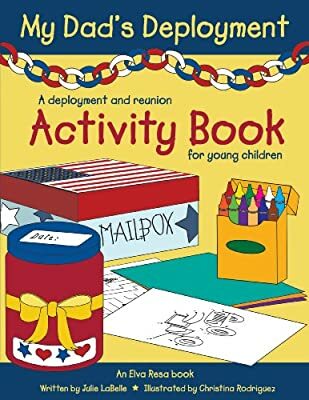 This 112-page activity book features mazes, dot-to-dot, counting, matching, coloring, crafts, telling time, and other activities familiar to preschool and early elementary children. Shown within the context of common deployment and reunion topics, the activities reinforce concepts young children are already learning and offer children the opportunity to ask questions, talk about their feelings, and feel connected to their deployed parent. 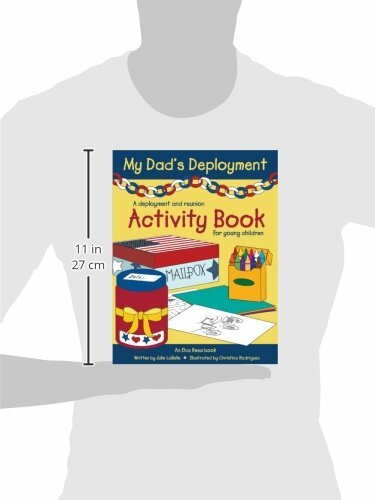 This version is specific to a dad's deployment.